After many years teaching students around the US and abroad, I am now retired from teaching in person. Many quilt shops continue to offer classes in Stack-n-Whack® using my patterns and tools. Ask your local shop if they've got one scheduled. I am also pleased to offer an online Stack-n-Whack® class at iquilt, AQS's online learning platform. There, you can learn at your own pace from the comfort of your own sewing room, and I am always available to answer questions, from the comfort of mine! What is Bethany's online class like? Read some comments from students. 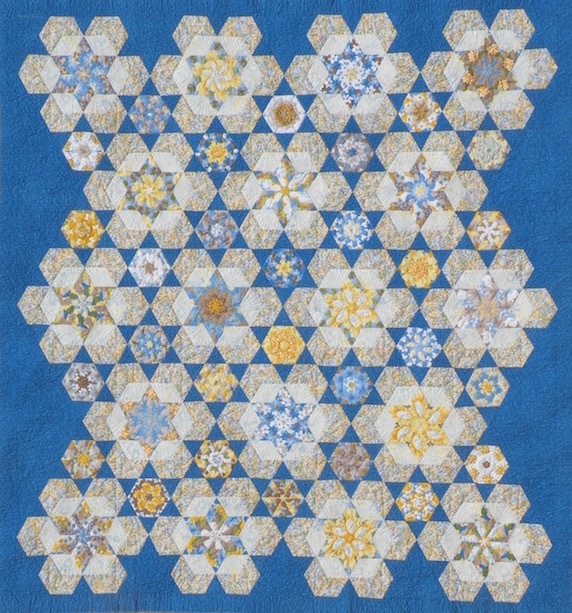 The "Emerging Stars" quilt pattern and instructions are included in the iquilt course.